Illustrator Marques Cannon has a blog full of nerd-themed art. 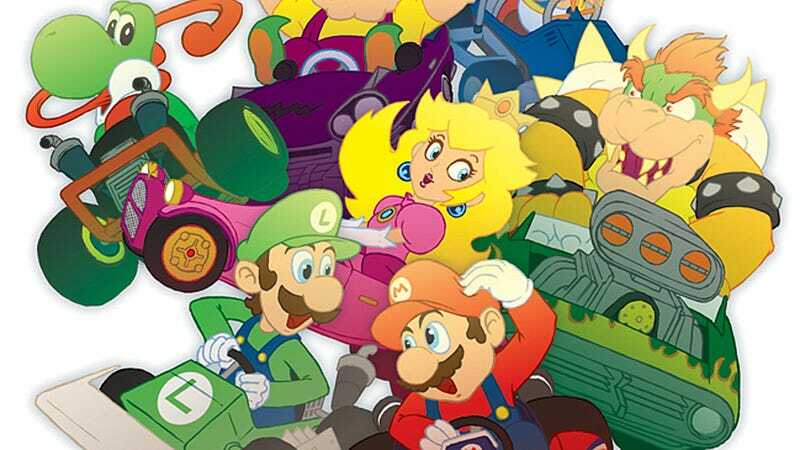 But the Mario Kart inspired image (close-up above) originally drawn for a magazine has to be the best. Cannon's also got Donkey Kong and Crash Bandicoot both feeling a little out of their element, if Mario's not your style. And if you needed to see one of the creepiest-yet-funny Lionel Richie and Star Wars mashups you can imagine, well, there's that, too.